Summer is gone and autumn is here. We know this not by the amount of leaves on the ground or the changing colors of the trees, but by the tech product launches we see. Below are just some product launches for Fall 2016. September: Apple launched the new iPhone 7 and Apple Watch 2. October: Sony added the PlayStation VR for game lovers who can now play virtually. November: Retro game addicts will also be ecstatic when Nintendo present NES Classics Edition with 30 classic games built in. There is something going on every month in the technology world. 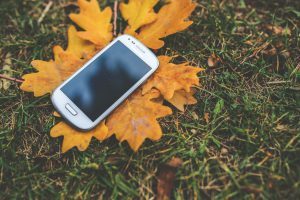 Fall has become the season for technology. The newest and greatest devices are ready to be purchased. In an article by Business Wire, Sequence ran a survey on how technology influences the holidays. Technology brought convenience and tension during the holidays. Some consumers are embracing the technology by “managing their tasks and create more time for friends and family.” In the survey, 52% of consumers used social media to see family from out of town. You can read the survey by Sequence for more information.